Miamor’s freedom is guaranteed—provided Carter help create and distribute a drug that will take the streets by storm. Rubbing elbows with the most notorious, ruthless leaders of the underworld will get him what he wants. But can he win at their game of murder and money? Ashley and JaQuavis are New York Times bestselling authors of over 30 novels. They are the youngest black writers to ever debut on the prestigious New York Times list. The duo is responsible for breathing life back into black fiction and was recognized by Ebony Magazine when they made the POWER 100 list in 2012. They have been featured in VIBE, ESSENCE, Black Enterprise, USA Today, Don Diva, BET, and on globalgrind.com, amongst many other national publications and web sources. They are also writers for Bryan "Birdman" Williams and Ronald "Slim" Williams, Cash Money Content. In addition to books, they have also ventured into film and television. Ashley Antoinette is a writer for the hit VH1 series, Single Ladies. While she is conquering the small screen, her partner JaQuavis Coleman is focused on the big screen. He is currently directing two film projects for legendary rap artists, Prodigy and Scarface. 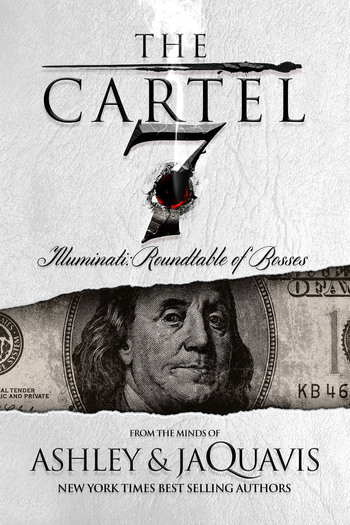 The duo has also signed their first movie deal for their bestselling novel, The Cartel.